The Regional Assembly of Text is a charming stationery store along Main Street in Vancouver BC. This area of Vancouver is well known for engaging in vintage revival culture and The Regional Assembly of Text is no exception with its wonderful atmosphere. The Regional Assembly of Text in Vancouver was opened in August of 2005 by Rebecca Dolen & Brandy Fedoruk. In March of 2013 we opened a second tiny shop in scenic downtown Victoria BC. What are three interesting facts about the store? We both graduated from Emily Carr Institute of Art and Design. We design all the greeting cards and a great deal of the stationery that we sell in our shops. We also wholesale our products to stores in Canada, U.S.A. and internationally. Why do you sell stationery products in your store? Having printmaking backgrounds, we wanted a store that would feature paper products and create a nostalgic environment to encourage people to keep the art of letter writing alive. Why do people get drawn into your store? Our shops have a very welcoming, nostalgic feel and we have unique stationery products. Which Pentel product would you recommend to customers and why? We love the Pentel Touch pens. They are an inexpensive way to get started with hand lettering and practice cursive writing. 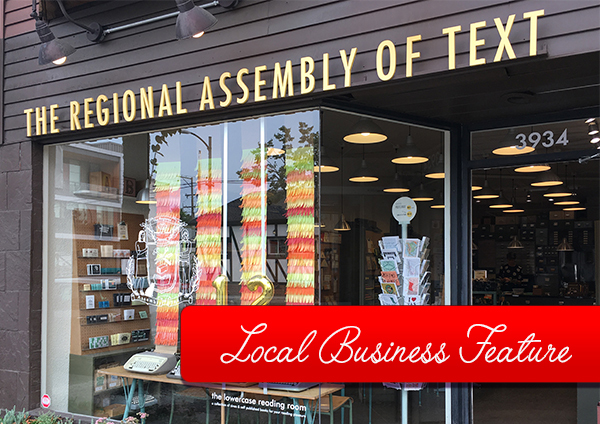 Does your store hold any events? The Letter Writing Club has been gathering at our flagship store in Vancouver to write letters to their loved ones since September of 2005. This monthly event is open to everyone, especially those of us who love writing letters as much as we love receiving them. Join us in Vancouver the first Thursday of every month from 7:00 – 9:30 p.m. No need to sign up ahead of time. Everyone welcome. No cost. Supplies provided. Follow The Assembly of Text in Vancouver on their social media platforms to get updates on their special events and more! 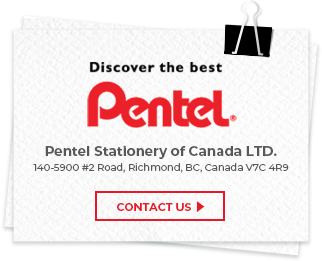 To get more information on where to buy Pentel products please visit our Where To Buy page.